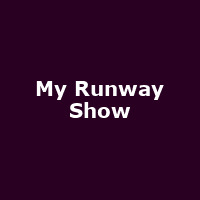 "My Runway Show aims to be the most creative show in Europe. It combines all sectors of the creative art and creates a platform for the ultimate youth engagement experience you will ever witness. This production seamlessly blends the best element of fashion, music, art and dance to bring forth a memorable showcase like they have been doing for four years running. Each year My Runway Group recreates a famous play or story which serves as the thread line and identity of the show as they carefully select designers and cast to make this a reality and a memorable on for that matter. "